The Car Stack Organizer is perfect for adding more helping hands in your car. 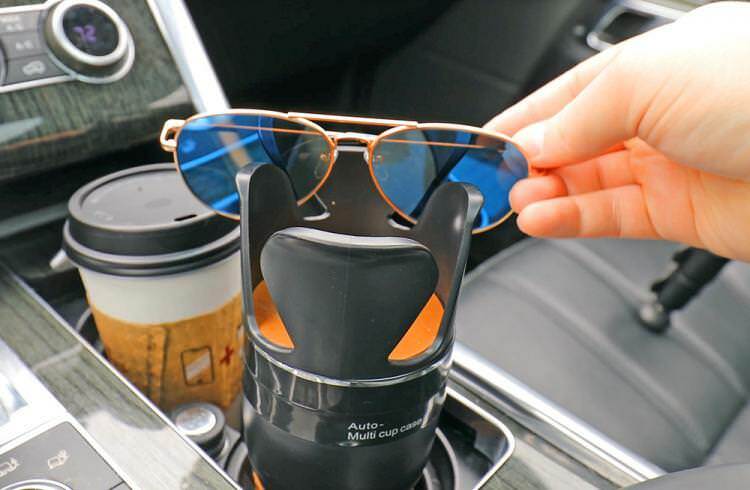 It conveniently adds more cup holders in your car while also giving you a nifty spot for your sunglasses, phone and other belongings. It fits into practically any cup holder and it’s a perfect addition to your car. The cupholders in your car are a great invention. In fact, it's hard to imagine a time when cars didn't have cupholders. And behold, we can now take our drinks with us in the car. But now we have a real first world problem. That problem is that we don't have enough storage space in our cupholder section in our car for all the La-Croix's, lattes, Kombucha's, smart phones, sunglasses, and all the other drinks and items we require while driving the 10 minutes to work. What to do? Well, the Multi-Cup Case is here to solve this problem. This handy car gadget has 4 different retractable levels to it and has enough room for all of your stuff, not just your drinks. The top layer is for your phone, sunglasses, pens etc, the two next layers are for your angled drinks like fast food cups, thermoses, and mugs. The bottom layer is not only another drink holder, but below that is extra storage for small items like lip balm, keys, or coins (which there's even a coin-slot for). 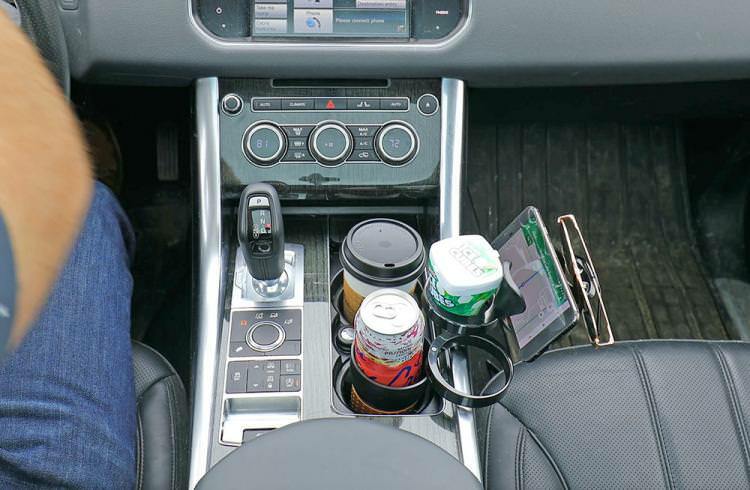 Now your cup holder is a powerful storage area that will be your command center while driving. I personally require at least 3 drinks to drive more than 30 minutes anywhere. But now there's a perfect spot to hold my phone for easy navigation viewing, along with handy slot for my sunglasses while I'm not using them. Installation is easy with a secure fit right into your existing cup holder. Sure you're losing a cup-holder spot, but your're also gaining 3 more at the same time. It has a rubber cup body cover to keep your drinks stable, and the rack design on the top layer will keep your phone or glasses inside. 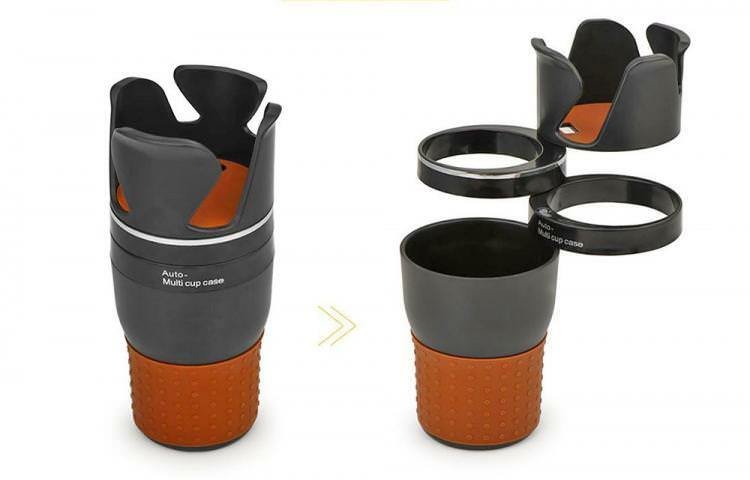 The auto multi-cup holder also features a 360° rotation layer to make it easier to use. 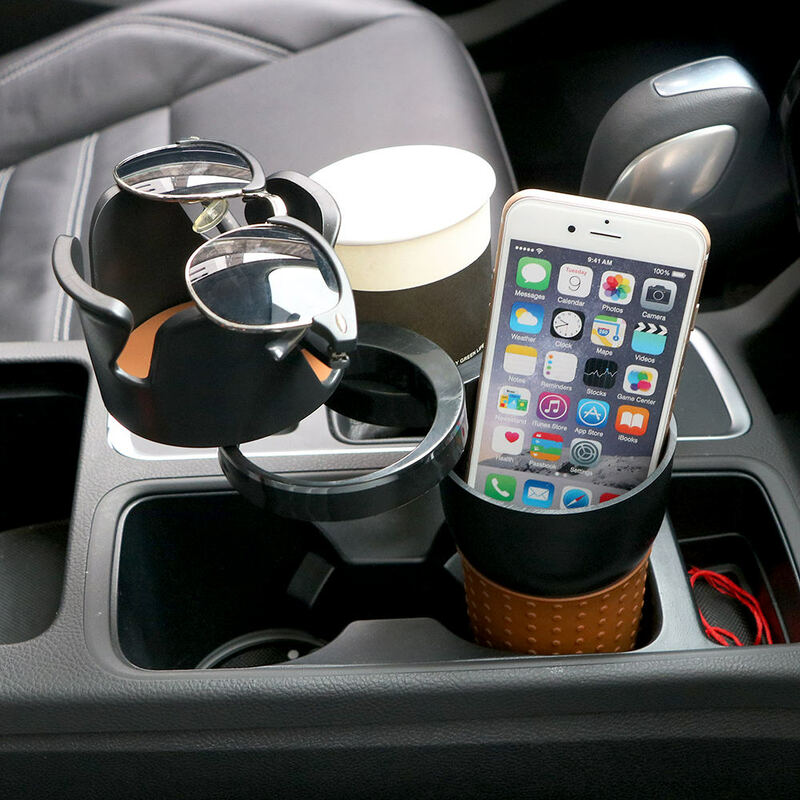 The car multi-cup case is compatible with almost all types of cars, will help keep your stuff organized in your car while having your drinks in a super handy spot. It's made from ABS plastic along with rubber for extra grip, each layer can rotate 360 degrees so you can find the exact right spot for each item, and it measures 7.5 inches tall x 3.5 inches in diameter when fully closed.